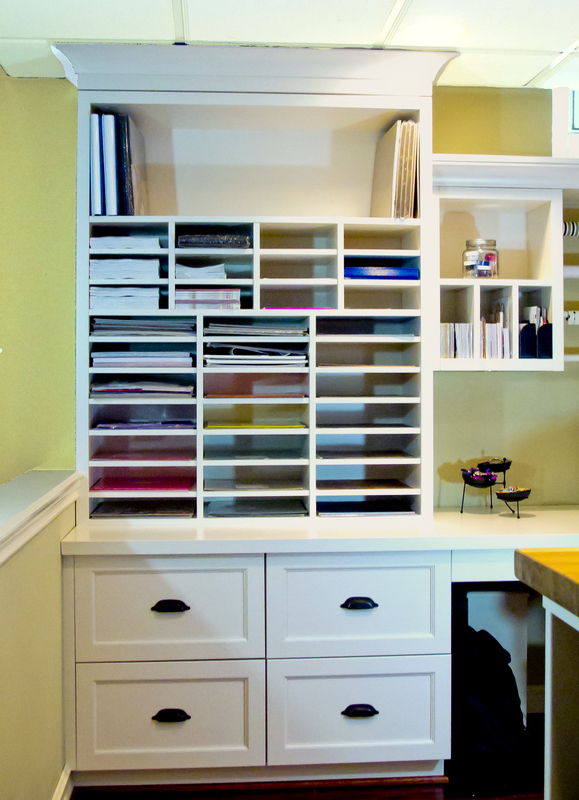 Recently Millennium created a space to help a client make her own creations: scrapbook pages. 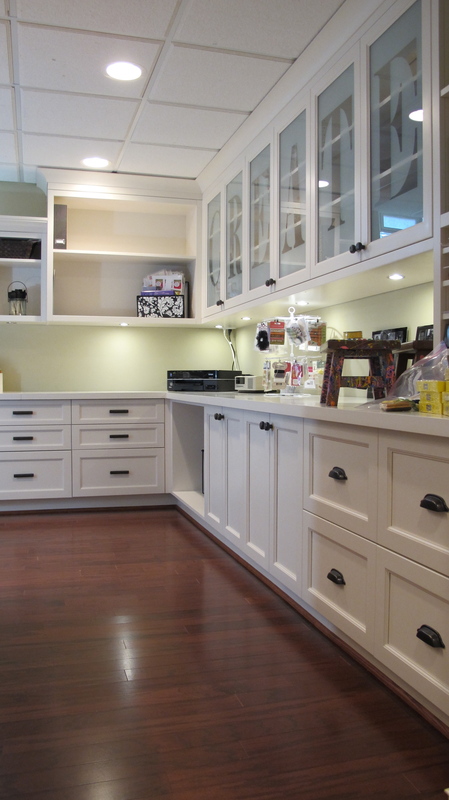 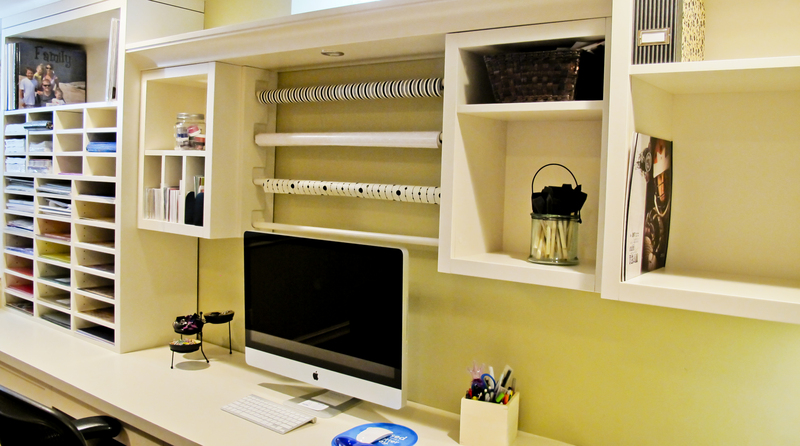 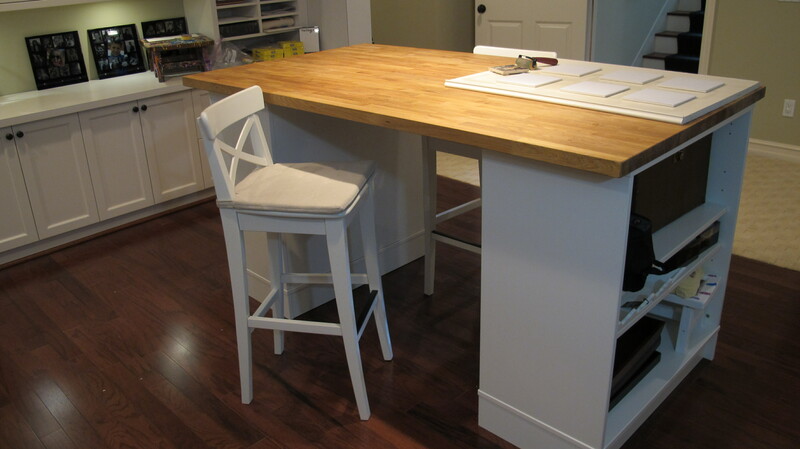 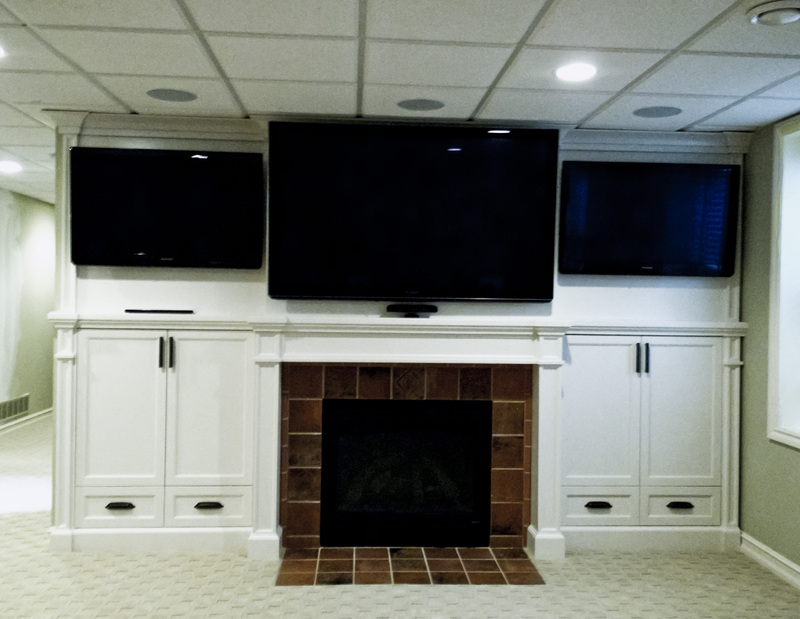 After an installation that took only a couple of weeks, this Grosse Pointe Park client had an entire room customized to meet her design and storage needs–while her husband got his own media room to watch sports in. 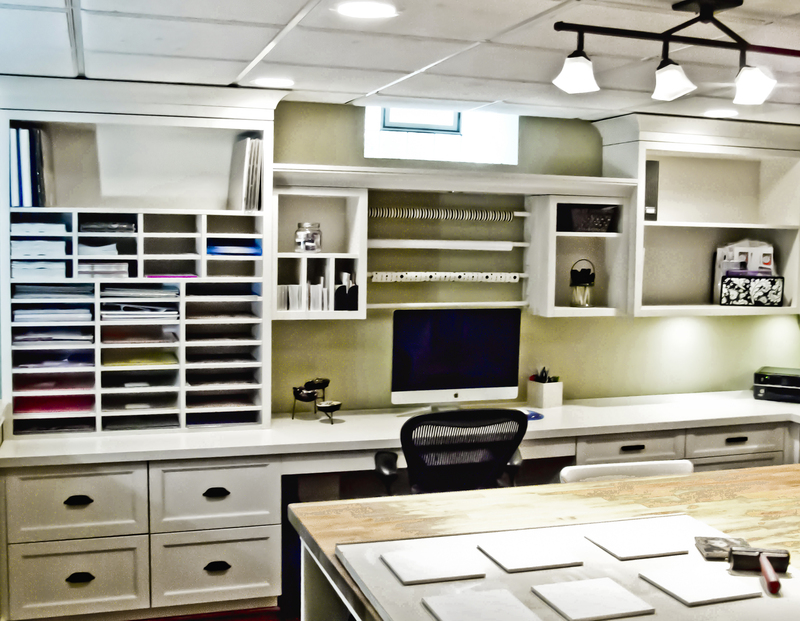 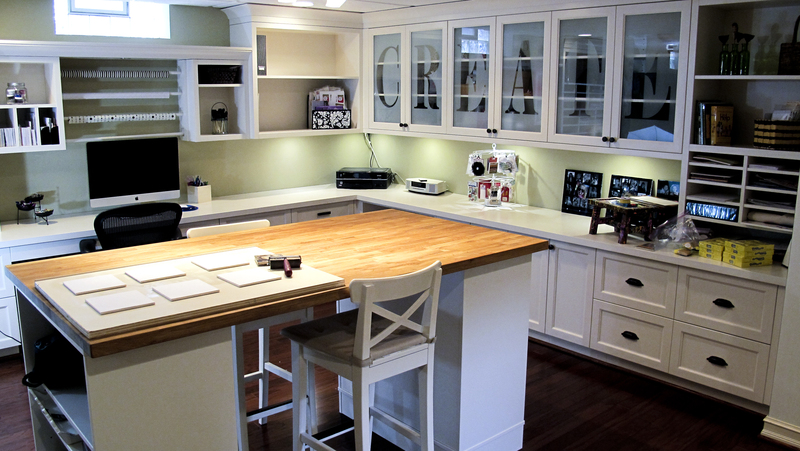 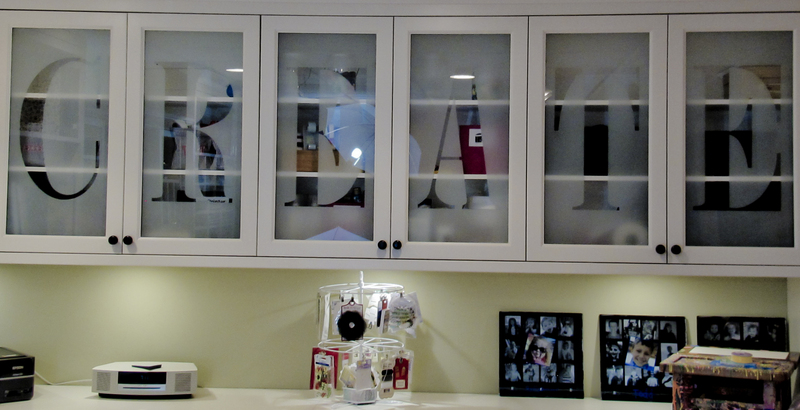 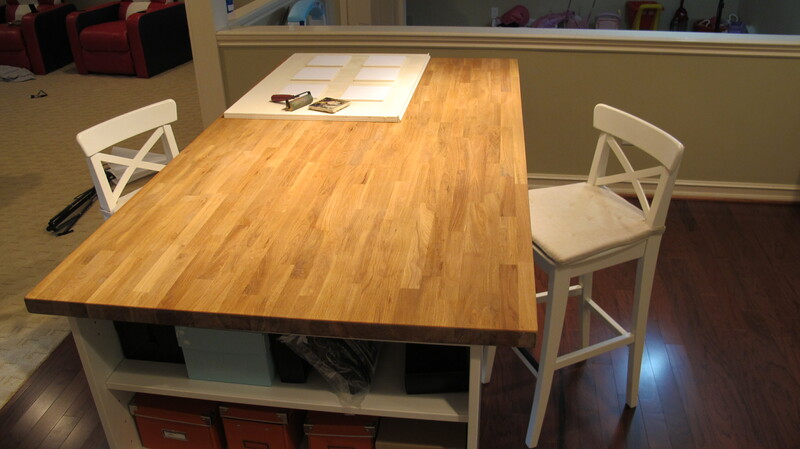 Special features of this scrapbooking room include frosted glass cabinet panels that spell out the word “CREATE”, an extensive paper shelving unit, spotlight lighting and an island workspace.